Through collaboration with the entire campus community, MLC endeavors to continually expand tutoring efforts and services to meet the needs of students and enhance their overall learning environment and success. All services offered through MLC are designed to support individual students in their desire to pass their Math classes and thereby achieve their academic goals. It is the goal of the tutor to assist students in developing the learning skills necessary to master academic subject matter. 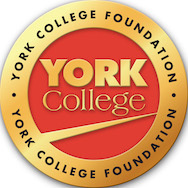 The Math Learning Center (MLC) offers free Mathematics and Computer Sciences tutoring services and workshops to all registered York College students. Our tutors are high- achieving undergraduate and graduate students who are trained and skilled to provide you with the best knowledge to improve and enrich your skills in Mathematics and Computer Science courses. Throughout the semester, some of our faculty members volunteer to help students by offering tutorial assistance or conducting workshops in the MLC.